The Temptation of Christ is being performed by The Guild of Waifs and Strays, portraying this powerful story of temptation. Auditions are being held for cast members this May! Jesus Christ fasted for 40 days in the desert of Judaea after having been baptised by John the Baptist. During this period of meditation, Satan appeared before Jesus and attempted to beguile him with promise of food, status and power. Each of these temptations, Jesus refused and Satan was defeated in his battle to corrupt the son of God. 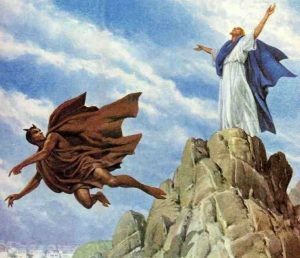 The Temptation of Christ is a short play which recounts this meeting between Jesus and the Devil and illustrates the corrupting nature of power, greed and false promises. We are looking for actors who can tell this tale. The performances will take place within the York Mystery Plays on Sunday 9th and Sunday 16th September and rehearsals will be held throughout the summer. We are hosting an open casting so everyone is welcome, but please contact Nick Newman (njan501@york.ac.uk) to confirm an audition slot!